My name is Maike Both. I am the founding director of A Million Drops , a Los Angeles based 501(c)(3) making a difference in the lives of homeless, young adults. 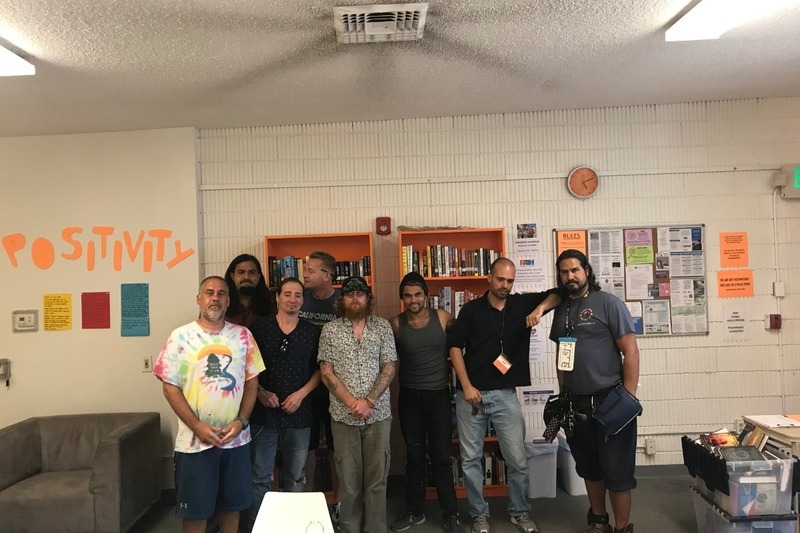 For four years, members of the A Million Drops team have cruised the streets of Hollywood on foot or by car, looking for young people in need to provide them with toiletries, socks and sleeping bags, and inviting them to our monthly Free Laundry Nights. So we can do more than maintaining the status quo, we took a big step. 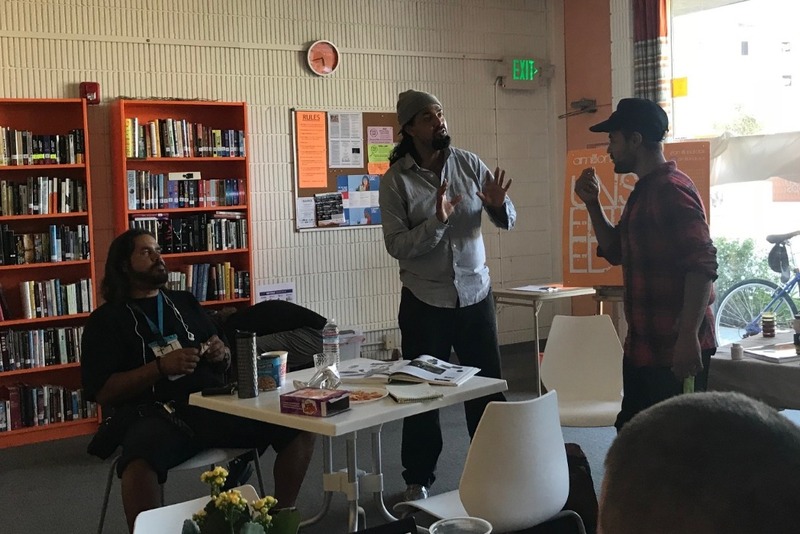 On Saturday, June 9, 2018 we opened the A Million Drops Learning Center where we provide struggling young adults with a safe, quiet space to regain balance and self-improve. At the A Million Drops Learning Center, growth is promoted by encouraging communication, studying and taking on responsibilities. We offer a free in-house library, art supplies and two laptops for research and learning. All materials and furniture were kindly donated by our generous supporters. 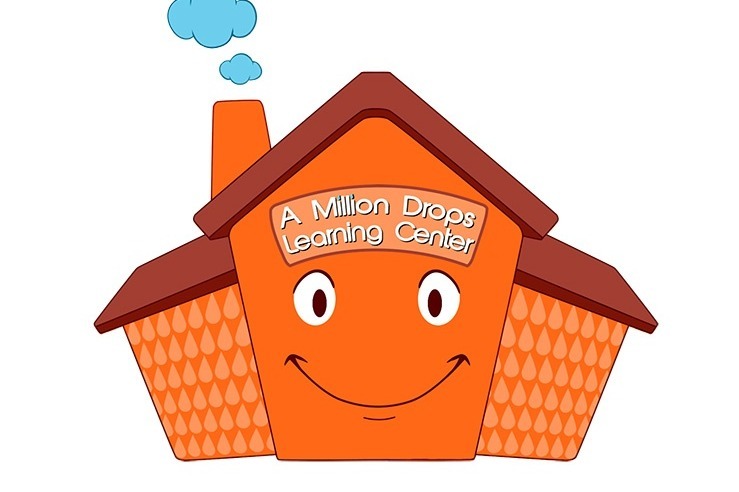 The A Million Drops Learning Center is currently open Mondays through Fridays from 2-6 pm with the goal to extent the hours. Teachers are volunteering their time, and our classes include Self Defense, Art, Graphic Design and Stretching. In the near future, we plan to offer Stress Management, Budgeting and Nutrition. Other topics, like Tai Chi, Dance and Movie Nights, are on our visitors' wish list. 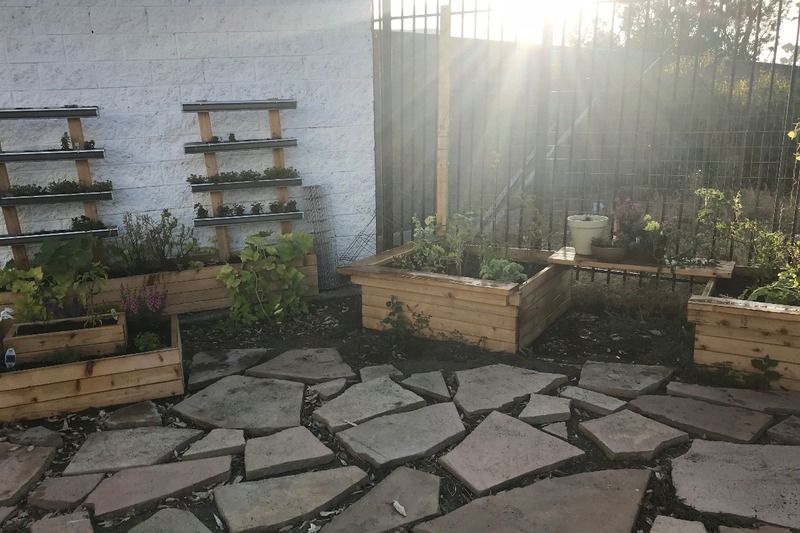 We also started to grow an Edible Garden that is being taken care of by members of the homeless community. The first tomatoes and squash are beginning to show, and we are looking forward to cooking together and sharing meals once the first harvest is in. We have an average of 15 visitors each day. Within a few minutes of them entering the Learning Center, you can see the stress melt away from their faces. They begin to look more relaxed, they smile and start talking, about their days, and eventually, about ideas. 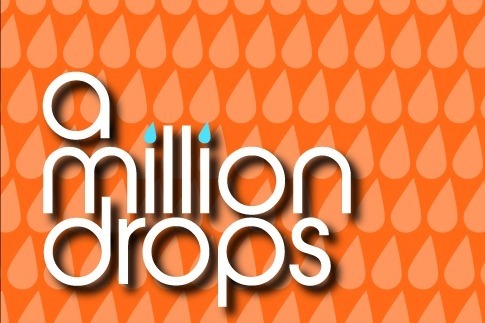 In less than two months, A Million Drops has already been able to make a difference in their lives. We have saved up enough money to pay rent until September. To be able to keep our doors open for another six months, we are asking for $12,000. This amount will cover rent including utilities and WiFi, as well as use of the garden, banquet hall, bathrooms and parking lot. If you love what we do, we urge you to show your support by making a donation towards our goal. Small or large, any amount will help, and we can't do it without you! A Million Drops is an official 501(c)(3) non-profit organization, and your donations are tax deductible. 2018 is coming to an end, and it's high time for a last update. Since we opened the A Million Drops Learning Center in June, it has quickly learned to walk and is now slowly beginning to outgrow its baby shoes. Each day, we are at full capacity and all in all, we serve up to 25 people daily, Mondays through Fridays from 2 - 6 pm. Our weekly programs include classes in Edible Gardening, Acting and Poetry, as well as a Self-Empowerment Workshop. We also have a Podcast and a Film Club, both run by clients of the Learning Center. 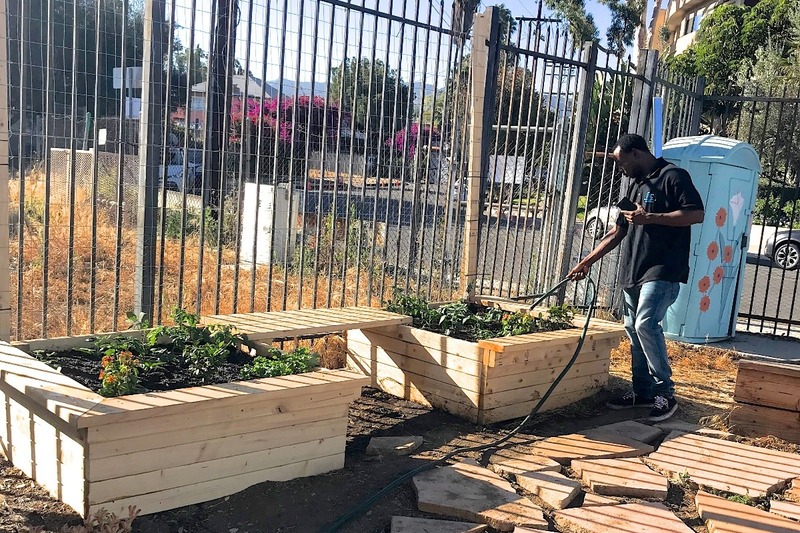 We would like to thank our teachers for volunteering their time and sharing their skills and knowledge: Charles Malki of IV Organics (Edible Gardening); Greg Johnson of the L.O.V.E. Foundation (Self-Empowerment); Robert Galinsky (Acting); Marquesha 'Kiki' Babers (Poetry & Spoken Words); and our guests Antonio Rivera (Film Club) and Scott Clapson (Podcast). We are happy to say that since we opened in June, we have been able to raise enough money to not just pay rent each month, but also to cover other expenses, from office and kitchen supplies to food and beverages, and even Christmas gifts. 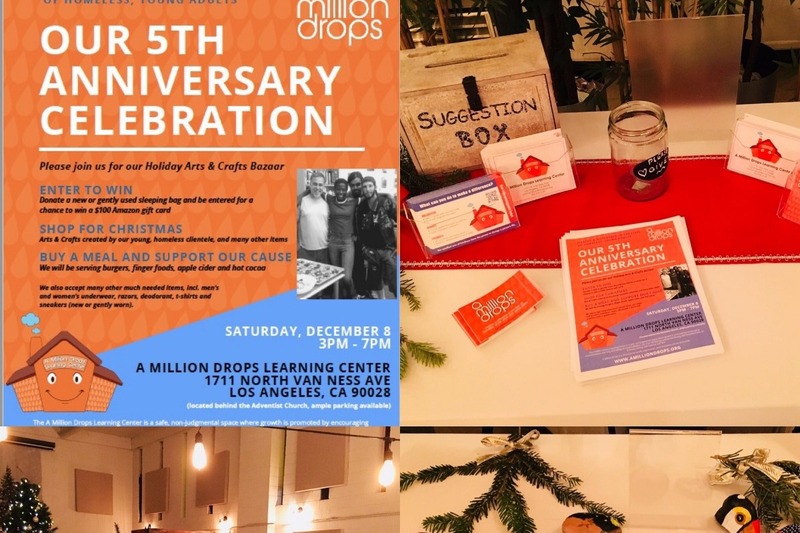 On December 8, we celebrated A Million Drops' 5th Anniversary (as well as six months of the Learning Center). 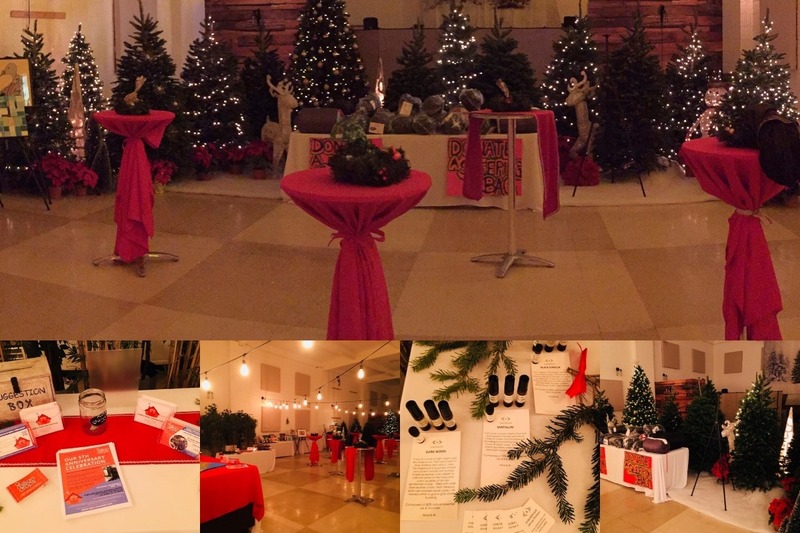 With the help of decorations generously donated by film prop house Green Set, the auditorium adjacent to our Learning Center (that is included in our lease for events and classes) was turned into a magical Christmas forest. DJ Aaron Paar provided the perfect musical background, and lots of people came to our event to celebrate with us, and to drop off sleeping bags. 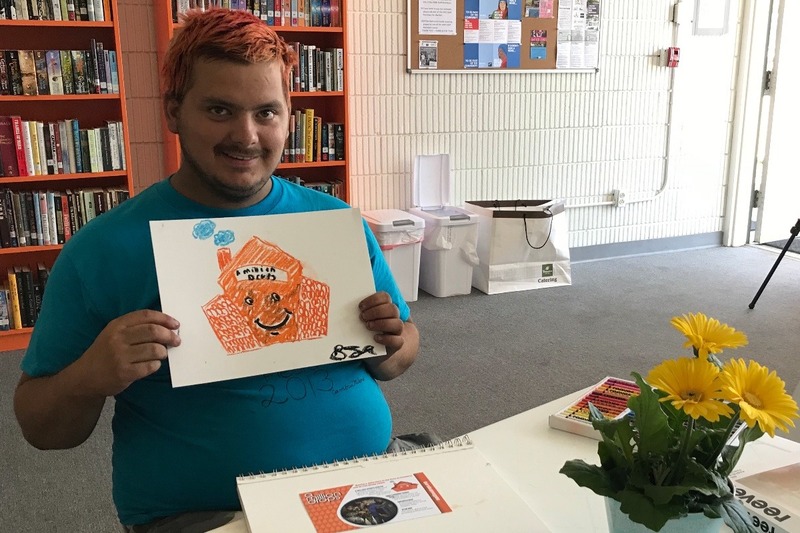 Many went home with gift items purchased at our bazaar, from art, cookies and painted river rocks to cute little succulents planters and greeting cards - all created by guests of the Learning Center. We have big plans for 2019! 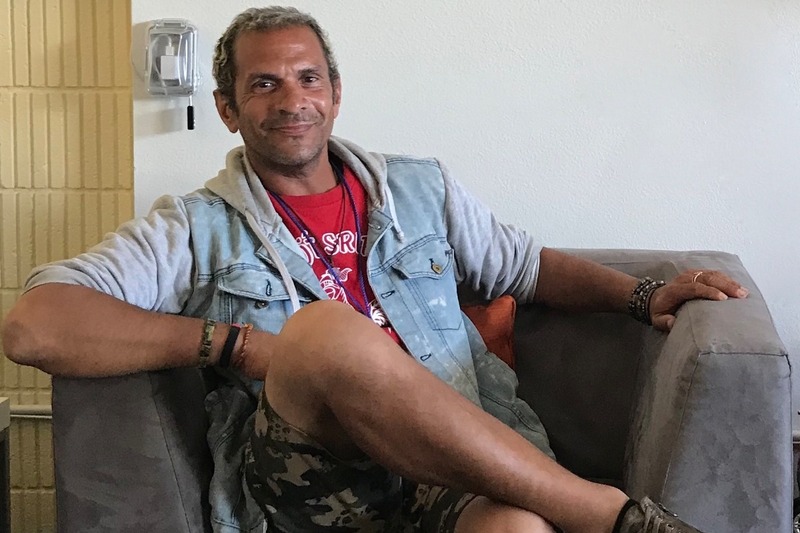 Our main goals are to put to together an A Million Drops Choir and to produce a play with the cast and crew consisting of members of our homeless community. We also plan to organize story telling events. And once we are ready, we will be able to perform at The 11:11, a theater in West Hollywood, owned by writer/director Michael Leoni ("American Street Kid", "Elevator", "Famous"). Our clients are excited, motivated and looking forward to the great things that are going to happen in the new year! Happy Sunday everyone, I hope you are all doing well! 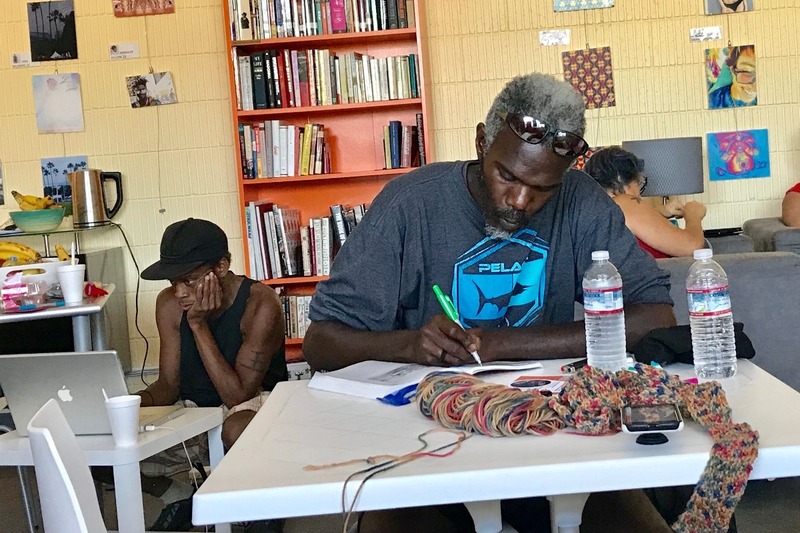 Our schedule of activities has been filling up: Mondays, we have an ART GROUP with Megan; Tuesdays, Charles Malki of IV Organics is teaching a GARDENING WORKSHOP. 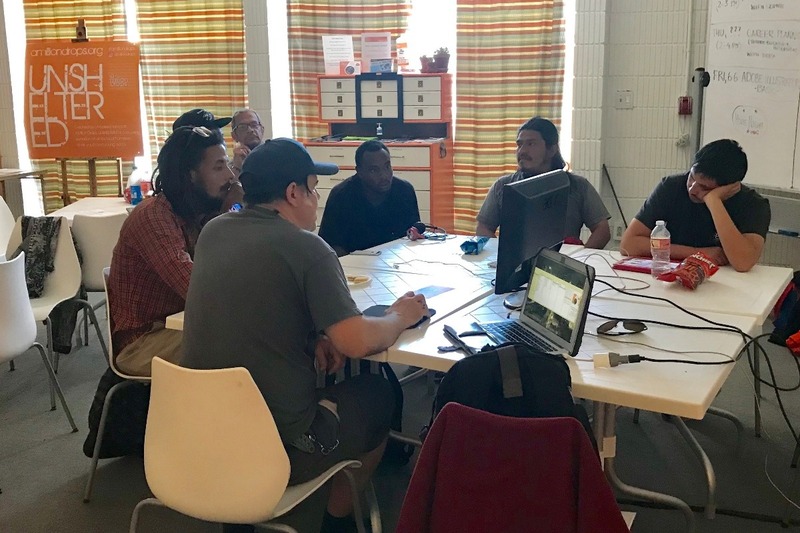 On the first Wednesday of each month, a representative from PATH comes by to help people get signed up on a waiting list for housing. Wednesday afternoons, Greg Johnson of the L.O.V.E. Foundation offers his much appreciated SELF-IMPROVEMENT WORKSHOP, and in the evening, we have an ACTING CLASS taught by New York actor / playwright Robert Galinsky. Thursdays, Anton - one of our regular visitors - is organizing a FILM CLUB, and Fridays, we have Megan’s POETRY WORKSHOP. CRAIG GRADUATED! 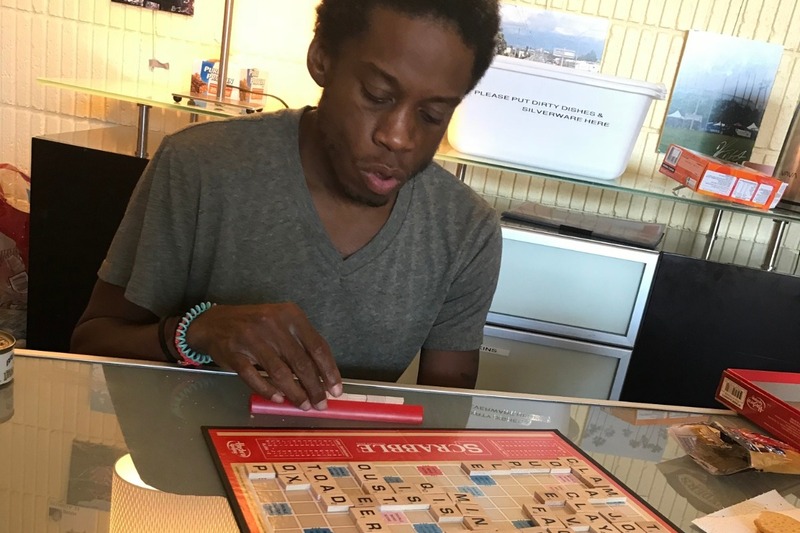 Craig is a young man whom we have supported for about a year, has been working steady for the past 4 months, while continuing to attend evening classes to get his degree in business administration. Two weeks ago, we attended his graduation ceremony! We are so proud of him! 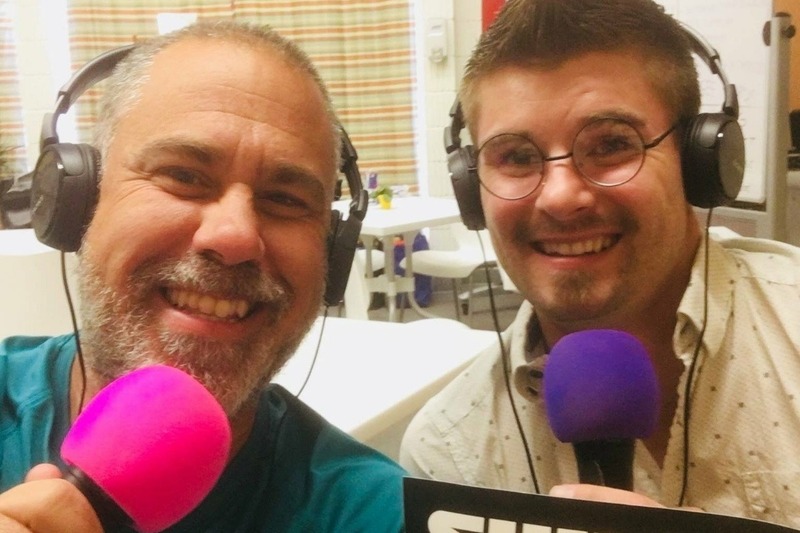 Scottie, another one of our guests, has started a PODCAST, "REAL GOOD STUFF", and has already recorded six awesome, inspiring interviews. A big shout out to NY DJ Cherish The Luv for donating Shure microphones, headsets and other gear along with her expertise! 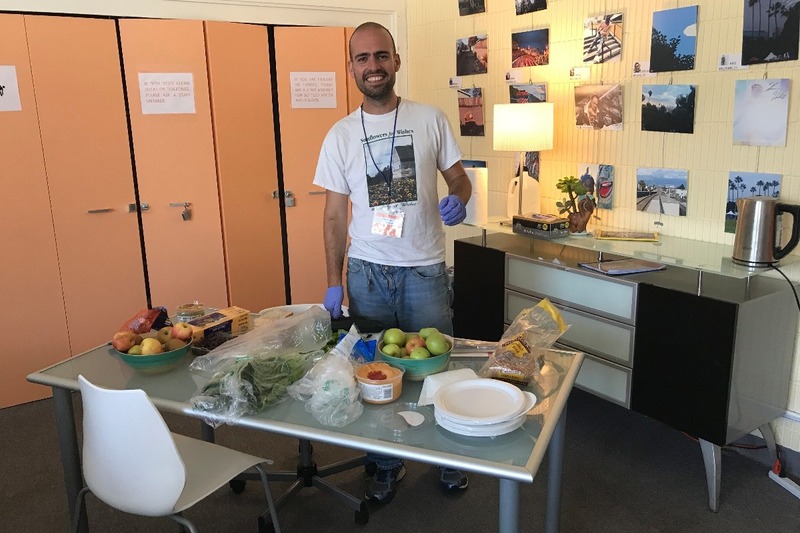 Thanks to food donations from Trader Joe’s and Jimmy Kimmel (and thanks to our volunteers Robert, Heidi and Joan who are picking the food up), WE HAVE BEEN ABLE TO PROVIDE A FREE MEAL EVERY DAY, sometimes cooked from scratch by our guest Brian in the kitchen that is part of our lease. We couldn’t do any of this without your amazing support. The generous donations we have received from you will allow us to keep our doors open through February 15, and we hope that we will continue to raise enough money to cover rent and operating costs. Oh, and I almost forgot: December marks not only 6 months since we opened the Learning Center, but also the 5th anniversary since A Million Drops received the official non-profit status. A REASON TO CELEBRATE! On Saturday, December 8, we are going to have an afternoon mixer / Christmas bazaar at the Learning Center, and we are looking forward to seeing you then! I will post more information soon. Hi everyone, a very happy Sunday to you! But enough about myself. Let’s talk about the A Million Drops Learning Center. It’s doing really well! The number of daily visitors kept going up and we are now at the maximum capacity the room can hold, which is 18. Many of them are regulars. 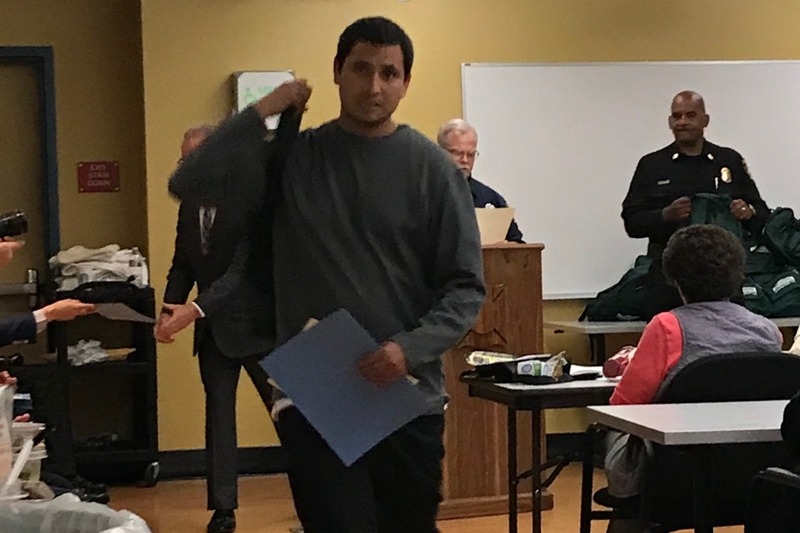 We are working on getting case workers to come regularly to help individuals with filling out applications and forms and getting them on a waiting list for housing. We are also looking into getting a used van donated, so we can organize field trips to introduce our visitors to experiences outside of their daily routines. A TV was donated and has been installed, and once we get a used DVD player, we can start showing documentaries and educational video, as well have movie night once a month! If anyone here would be available for an hour once or twice a week, we are looking for a volunteer to pick up food donations on Mondays and Wednesdays (or Thursdays) at 2 pm at a church in Hollywood, and drop them off at the center. Not a lot, just two or three small boxes. Please let me know if you would like to help with that! 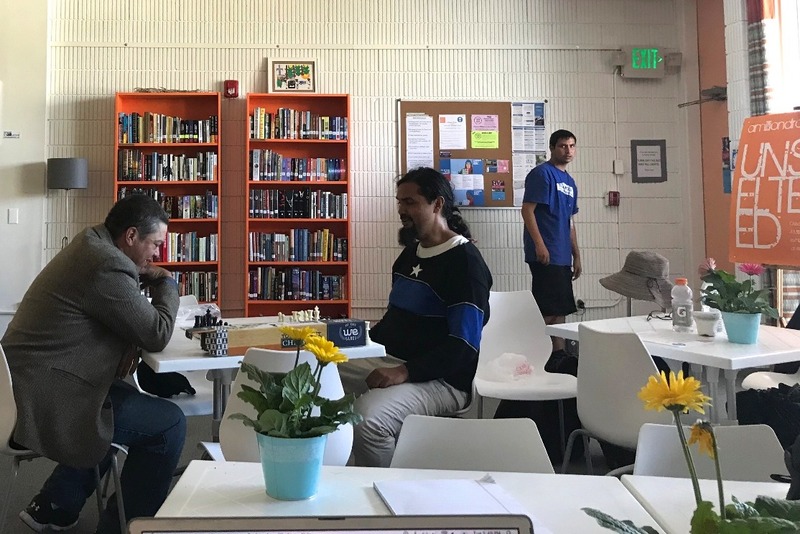 In the attached pictures, you see me play Scrabble with Roy (well, you don’t really see me); Anton, Juan and Kevin discussing Star Wars and George Lucas; and Joey after receiving the Certificate of Completion of the Community Emergency Response Team training. Congratulations to him, and to Roy, Brian, Jason and Larrick who also took the course! Hi everyone, I hope you have/had a nice weekend! Time for another update... Our A Million Drops Learning Center has only been open for ten weeks, and already it is making a big difference in the lives of the young people who visit. They come in to rest, charge their phones, and enjoy a cold water and a snack. And once they have recovered a little from their daily struggles they start to explore. Three days a week, they get the opportunity to take a shower at the church next door or in the shower trailer provided by Shower of Hope, an organization founded by our friend Mel Tillekeratne. 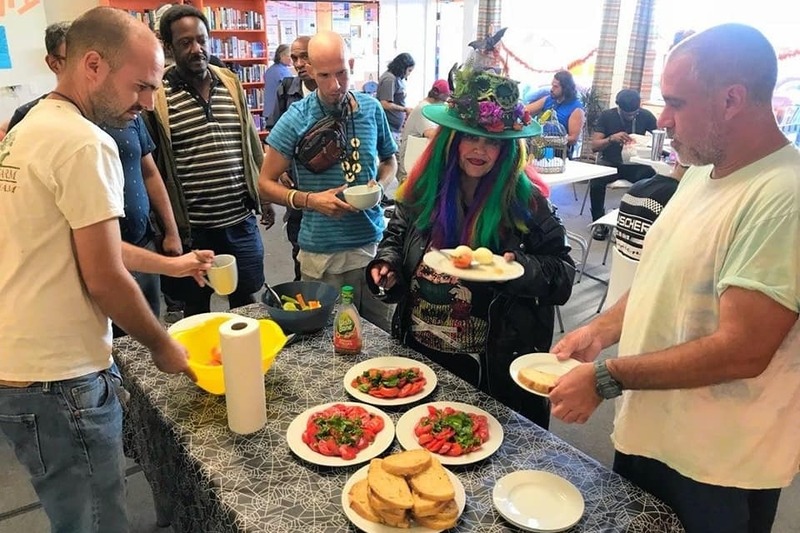 On an average, we serve 10 - 16 visitors a day who consider the space their home, treating it with respect and pride, and making sure every newcomer does as well. The first four weeks, AMD Director Maike was in charge. When she had to go back to working in her regular job, three of our guests stepped up to the plate and took on responsibilities. Josh, Jason and Craig make sure that the Learning Center opens and closes on time, and they take care of everything in between: from welcoming visitors and explaining our rules to first timers to handing out refreshments and snacks - or socks and toiletries if needed, and much more. And at closing time, they clean the place and water our edible garden. We couldn't be happier! Our fundraiser is also going well! In only three weeks, with your incredible support, we have been able to secure almost four months of rent! Please help us to continue this positive streak by sharing the link with your friends and family. Thank you!! PS: In the photo you can see our awesome manager Josh preparing healthy sandwiches for our visitors.